The almighty Google has been saying for some time now that, beginning in July of 2018, they would be flagging sites without the https:// designation as “Unsafe”. 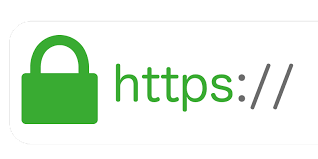 People see this https:// designation (and a corresponding padlock icon, often) in their Address bar of their chosen browser (Chrome, Firefox, Safari, etc.) when they are doing online shopping. It’s underlying element is called an SSL Certificate — an encryption layer to the site to make it more secure — until recently only reserved for sites that exchanged sensitive / personal information or e-commerce transactions, etc. What Google is attempting to do, however, is make encryption ubiquitous across the web. This can only enhance the entire web’s stability and security, they feel. It used to be your would order an SSL Cert and it could run anywhere from $60-$125/yr. — depending on the provider and their fee structure. What began to happen was, once this was coming down as “everyone needs encryption”, there was a great deal of interest in making SSL Certificates available to the masses. One of the largest providers of free Certs emerged in the form of: Let’s Encrypt. Soon hosting providers began to offer Let’s Encrypt to their customers. By summer’s end, I plan to have all 3Cstudio Managed Hosting clients setup with their own encryption through Let’s Encrypt. It will have a one-time fee for setup, but after that it should be free for the life of the site it is on. All sites under 3Cstudio management are encrypted now.